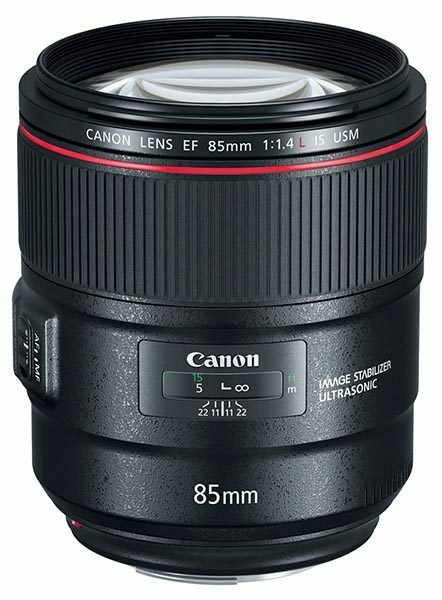 Canon has launched a new EF 85mm f/1.4L IS USM lens for portrait photography, and three new tilt-shift macro lenses. Personally I can see me saving my pennies – a lot of them – to get the EF 85mm f/1.4L IS USM lens. I love my EF 85mm f/1.8 USM and after nearly 30 years it won’t be getting sold – it’s just too small and light to say goodbye to yet. Canon today introduces four new lenses into its premium L-series range, offering enhanced creative opportunities for professional photographers and serious amateurs. Built on the high quality that Canon’s L-series lenses are renowned for, the EF 85mm f/1.4L IS USM, TS-E 50mm f/2.8L MACRO, TS-E 90mm f/2.8L MACRO and TS-E 135mm f/4L MACRO offer incredible ease-of-use, durability and increased scope for photographic experimentation in perspective and scale. Created following feedback from photographers around the world, the EF 85mm f/1.4L IS USM has been designed to produce flattering skin tones and beautiful perspective for stunning portrait and wedding photography. Featuring a new 14 elements, 10 group, lens design, the EF 85mm includes high-quality, high-precision elements to correct chromatic aberration and to deliver the optical performance required by the latest high-resolution sensors. The quality of the image is further enhanced thanks to Air Sphere Coating (ASC) technology. This ultra-low refractive index layer on the EF 85mm eliminates image flare and ghosting to ensure clear and attractive images. The EF 85mm is equipped with an Electro Magnetic diaphragm, which uses a wide f/1.4 aperture comprised of nine blades. This allows the lens to capture an attractive “bokeh” look, which is essential for striking shots. The aperture is also capable of transmitting more light to boost exposure and depth-of-field control. This fast aperture performance is crucial for standout portraits where the subject is the key focal point. Photographers can also enjoy unparalleled stability via the EF 85mm’s 4-stop image stabilisation, which prevents camera shake from ruining images. The combination of image stabilisation and fast aperture make the EF 85mm perfect for use in videography. The EF 85mm has a high-speed ring type Ultrasonic Motor (USM) driven Auto Focus (AF), which works with the lens CPU and the camera’s AF algorithms to provide fast and accurate AF. The USM driven AF is also completely silent, which supports a photographer’s ability to shoot great images discreetly at events such as weddings. The AF also features a full-time manual override and is compatible with the entire family of Cinema EOS cameras. The lens also benefits from the enhanced durability provided by Canon’s L-series lens construction. Thanks to the EF 85mm’s weather sealing, dustproofing and fluorine coating, this lens has been specifically designed for tough and variable weather conditions. The complete package of features included in the EF 85mm makes this lens the perfect tool for all portrait photographers. It’s perfect for anyone who needs a versatile telephoto lens that can cope with many situations including weddings, events, studio or indoor/outdoor photography. Since the introduction of the TS-E 17mm f/4L and TS-E 24mm f/3.5L II, Canon has received requests to bring the range of lens movement controls to longer focal lengths. 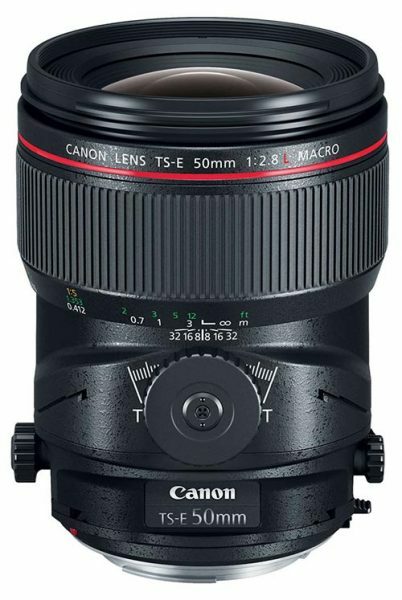 Canon has responded to these calls with the launch of the TS-E 50mm f/2.8L MACRO, TS-E 90mm f/2.8L MACRO and TS-E 135mm f/4L MACRO. These lenses offer features to support creative photography such as specialist tilt, shift and rotate movements and macro functionality; alongside cutting-edge L-series optical design and precision. 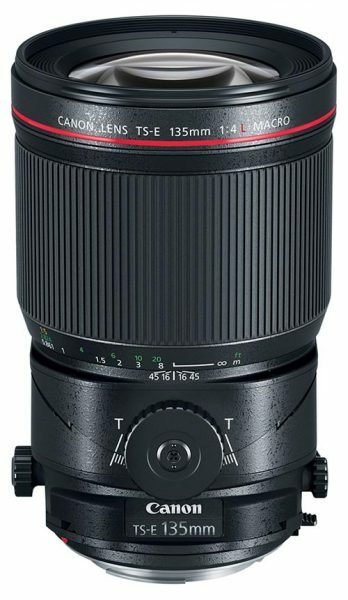 The TS-E 135mm enriches the TS-E range with its longer focal length, while the TS-E 50mm and TS-E 90mm replace existing models TS-E 45mm f/2.8 and TS-E 90mm f/2.8, respectively. The TS-E 50mm is perfect for capturing creative, outstanding and accurate images across landscapes, architecture and in the studio, while the TS-E 90mm and TS-E 135mm are better suited for portraiture and macro photography in the studio. The TS-E 50mm, TS-E 90mm and TS-E 135mm’s shift function enables the lens to be shifted up, down, left or right, allowing for minimisation of perspective distortion. This capability is used regularly in architecture photography as it allows for image perspective to be corrected – such as the inherent distortion witnessed at the top of an image of a tall building. One of the creative uses of the tilt function is the ‘miniature effect’. This involves moving the lens so that different elements of an image stay in focus, making certain aspects look very small. The minimum focusing distance of the three lenses has also been optimised for macro photography, producing half-life size images with a maximum magnification of 0.5x. For example, the TS-E 135mm allows photographers to be 49cm away from the subject and still obtain this magnification. This is ideal when working in a studio with lights as it makes it easier to position the lighting for the optimal effect. Continuing the tradition of Canon’s use of the highest quality, superior precision moulded glass, the TS-E 50mm, TS-E 90mm and TS-E 135mm all enable high-resolution to the edge of the image and very low levels of distortion. All three lenses feature innovative optical designs to cut down refracted light, which can impinge on accurate focusing, and UD (ultra-low dispersion) lens elements to produce sharper images. Optimised lens coatings ensure excellent colour balance while simultaneously minimising the chance for ghosting to impact image quality.